With every HTTP request you will get new random IP from a proxy pool of 70,000 proxy IPs. These proxies change IP every 3 minutes. Use them for account creation, social sites or regular browsing. These proxies change IP every 15 minutes. Use them for tasks that require longer sessions. For maximum privacy protection we use rotating private data center IP addresses. Whatever you need - just email us. We are here to help you and develop this service to meet your needs. You get unlimited bandwidth. No hidden costs, no limits on bandwidth. SEO tools, like Scrapebox, GSA SER, SEnuke, RankerX, etc. Scraping sites with any custom bot made in php, curl, python, rubi or any other language. or any other action that required huge amount of different IP addresses. All plans come with 48 hours money back guarantee. How does Rotating Proxy Service work? You will get one or several "proxy gateway" IPs that you need to enter inside any software that should make a proxy connection. By accessing our "proxy gateway" servers with those IPs, your software will receive a new proxy IP on each HTTP request or after 3 minutes or after 15 minutes (depending on what you choose inside our member area). The maximum number of threads (connections) that you can open in your software is limited by the package that you order, e.g. an 80-thread package allows for a total number of 80 simultaneous connections (threads). Higher packages mean the higher speed of your software - more actions done in less time. 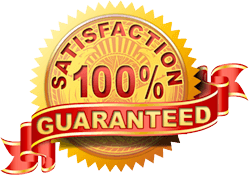 All plans come with 48 hours money back guarantee. After that all sales are final - no refunds. You can cancel your subscription at any time by simply contacting us or using cancel button inside member area. If you are not sure what you are buying, order the smallest package to try the service out – you can always upgrade later. There is a limit on the number of computers (IPs) that can access proxies, and limit on the number of threads (simultaneous connections) opened by each user. Both parameters are based on which package you order. Inside the member area you will need to enter the access IP from where you will access these proxies – usually the IP of your server where is your software installed or your personal computer IP address. The difference between these rotating proxies and our dedicated proxies is that rotating proxies are shared between all members – which is you why you are getting them for such a cheap price. For some sites (e.g. sneaker or ticket sites) the success rate with rotating proxies is around 70% to 80% because IPs are shared with other users. However, with private dedicated proxies you will get almost a 100% success rate as you will get private IPs that only you use. YES! All IPs in gateway proxy pool are replaced every 7 days.